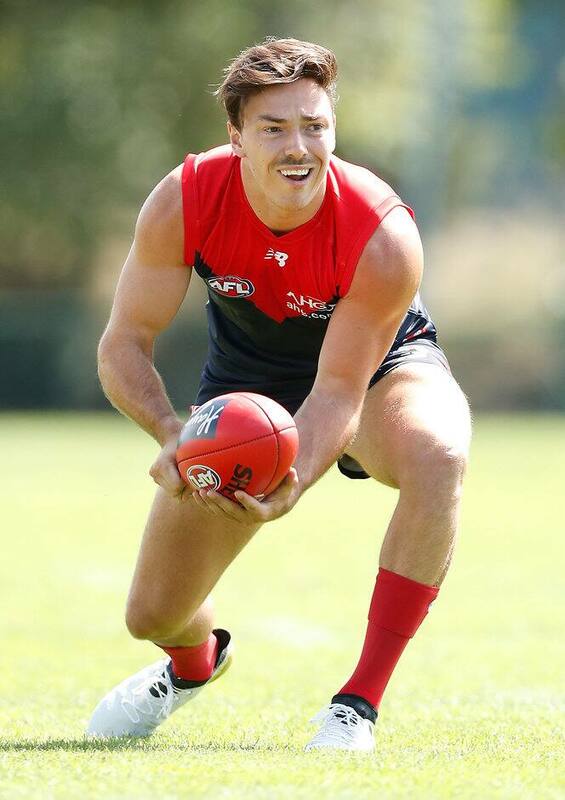 MELBOURNE recruit Michael Hibberd is set to play his first game for his new club this weekend. It is understood the former Essendon defender will be named in the Demons' JLT Community Series squad to face Carlton at Casey Fields on Saturday after overcoming a minor hamstring issue. Hibberd, who sought a trade from the Bombers after serving his 12-month anti-doping suspension for his role in the 2012 supplements program, is back training with the main group and ready to resume his career. The Demons were cautious with the experienced defender's program this pre-season, following a patella tendinitis complaint that he was forced to manage last year. The 27-year-old pulled up sore in the hamstring and was part of the club's rehabilitation group for the majority of Melbourne's pre-season training camp in Marooychdore earlier this month. The rebounding defender was not selected in Melbourne's team to take on the Western Bulldogs at Whitten Oval last weekend to ensure his fitness peaks for the opening round of the season. Hibberd's versatility and competitiveness will be important elements for a strengthened Melbourne back six. The Demons want to create a defensive unit that has the ability to mix and match opponents, as well as players who can rebound and attack with purpose from the back half. Hibberd's booming left foot and ability to hold his ground in marking contests against taller opponents fits that style perfectly. Hibberd signed a four-year deal with Melbourne, after the Demons sent their second-round pick to Essendon in exchange for the backman. The Bombers also received picks No.29 and 68 in the trade. Hibberd, selected with pick No.4 in the 2011 pre-season draft, played 84 games for Essendon from 2011-15, finishing fourth in the club best and fairest in 2014 and eighth in 2015. Intrigue surrounds Jack Watts' place in the team, with the forward hoping to be selected for the match against Carlton. In a big statement by coach Simon Goodwin, Watts was not picked for the game against the Bulldogs after being overlooked by the club's match committee following below-par form on the training track. Defenders Neville Jetta and Sam Frost are others likely to come into the selection mix if they are declared fit. Both Jetta and Frost were limited at training on Tuesday. Dom Tyson (knee) and Dean Kent (back) are others trying to prove their fitness ahead of the season proper. Meanwhile, rookie defender Joel Smith is pushing his case for an early-season debut. Smith, the son of former high-flyer Shaun, acquitted himself well against the Bulldogs, demonstrating his significant development after making the switch to football from basketball in 2015. "The transition he's made in a year has been incredible," teammate Tom McDonald said earlier this week. "He's a great kid, he works really hard and I was really pleased that he was able to get a go (against the Bulldogs)." Smith is one of the most athletically gifted players on Melbourne's list, and displayed his competitiveness on a number of occasions, laying multiple tackles against the Bulldogs. The young defender, who will turn 21 on Saturday, had 13 disposals, took four marks and laid three tackles in his first game for Melbourne to stamp himself as one to watch in 2017.